Launched in September 2016, and after only two years of operations, Moscow’s Zhukovsky Airport (ZIA) is already “approaching its operational break-even point,” according to the director for Ramport-Aero, the airport’s management company. Located as close as 25 km south-east of the Russian capital, Zhukovsky’s biggest asset appears to be its ‘regional’ non-Moscow airport status. With this unique position ZIA has been able to support Russia’s biggest air transport market whilst avoiding the fight for competitive quotes for lucrative new international routes serving the capital. International business represents 75 per cent of its entire traffic. In the first nine months of this year, the new airport processed 872,000 passengers, double last year’s total, and is now on track to burst through the one-millionth-passenger mark before the end of the IATA summer schedule. The current expectation for 2018 is 1.5 million passengers, a figure that is down from the original 2016 projection of two million. Nevertheless, between 1.3 and 1.5 million passengers is sufficient to keep the airport in the black, says Gediminas Ziemelis, chairman of the board of Lithuania’s Avia Solutions Group, which holds a stake in Ramport Aero. Its latest September operational results exceeded those of the same month last year by a remarkable 210 per cent, reaching 133,500 passengers, even though the peak travel season had already passed. Simferopol in Crimea remains the most popular destination from Zhukovsky, closely followed by Minsk, the Belarusian capital. The major contributor to the airport’s growth rate is Ural Airlines, Russia’s fourth largest carrier, which has been adding new destinations to Zhukovsky’s route network. This summer the Yekaterinburg-based airline launched its tenth route from Zhukovsky airport, six of them to destinations in the CIS, as well as to Kaliningrad and Simferopol in Russia, Tel Aviv (Israel) and Rome (Italy). Ural Airlines has revealed to Russian Aviation Insider that it expects its traffic through Zhukovsky to almost triple by the end of this year, from 120,000 in 2017 to 350,000 passengers. 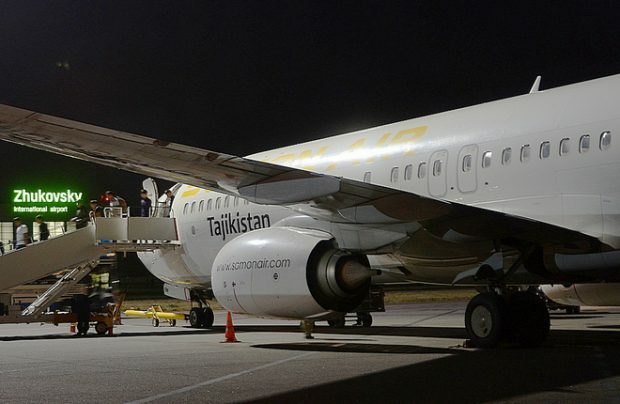 New carriers and new routes continue to spring up at the Moscow alternative airport, including Tajikistan’s Somon Air, which has just launched flights from Dushanbe and Kulyab. There are additional destinations on the horizon, including Almaty in December and further routes to Uzbekistan and western Europe, says Ramport-Aero.